From our guest author, the pensions expert Dr.Ros Altman: The FSA is allowing employers to pay huge fees to unauthorised 'advisors' with money taken from employee pension funds. All for advice that doesn't have to benefit the employees, and for fees that can reduce their pensions by half. Workers' pension funds being raided to pay fees for employer advice: As millions of workers are being automatically enrolled into a workplace pension scheme, it has emerged that many employers can arrange for huge fees to be taken out of their employees' pension funds. The money is deducted to pay for advice to the company, not to the workers who foot the bill. The consultants are not even qualified or regulated properly: These fees are being paid to 'consultants' who are advising the employer on setting up their pension scheme. 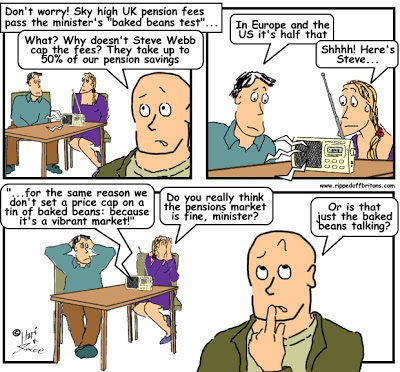 Although the consultants are paid out of the workers' pensions, the employees themselves usually get nothing for it. Worse still, because the advice is being given to a firm and not an individual, the usual regulatory protections do not apply. These consultants are not even required to having any standard qualifications and are not covered by the normal regulatory protections. Workers unaware of what is happening and regulator has not protected them: There are hardly any controls on the amounts that can be deducted, workers will usually be completely unaware of what is happening and will trust their employer to choose them a good scheme. However, the FSAand Pensions Regulator are allowing this to continue and many people's pensions could be decimated as a result. Mystery shopping study by Which? exposes extent of the scandal: Consumer group Which? has conducted a 'mystery shopping' exercise which exposes the real scale of this scandal. It posed as a 'consultant' and went to five insurance companies, offering to help them set up a pension scheme for an employer. Workers have no control over the fees they are forced to pay: Members cannot stop this happening as charges are agreed between the employer and consultant, with insurance companies just agreeing to allow the deductions. It is up to the regulators to stop this immediately and control the amounts, if any, that can be deducted form auto-enrolment pension schemes. Insurance companies agreed to allow consultants to charge workers, not employers: The mystery shopping consultants asked the insurance company to pay them a fee for 'selling' their insurance product to the employer. Although they only ever see the employer, not the employees, the insurance companies agreed that these 'consultants' could charge huge sums to each employee and there are no proper protections in place for workers' money. For example, insurance companies agreed to charging each worker £400-£450 for the first year and then ongoing annual charges on further contributions each year, ranging from £5 a year to 7.5 per cent a year for the first five years. For a low earner, these kinds of fee levels could see their pension fund reduced by nearly half in the first year and they can do nothing to protect themselves. Regulators should be protecting these workers, why does Which? have to expose it?Why is the regulator not on top of this? 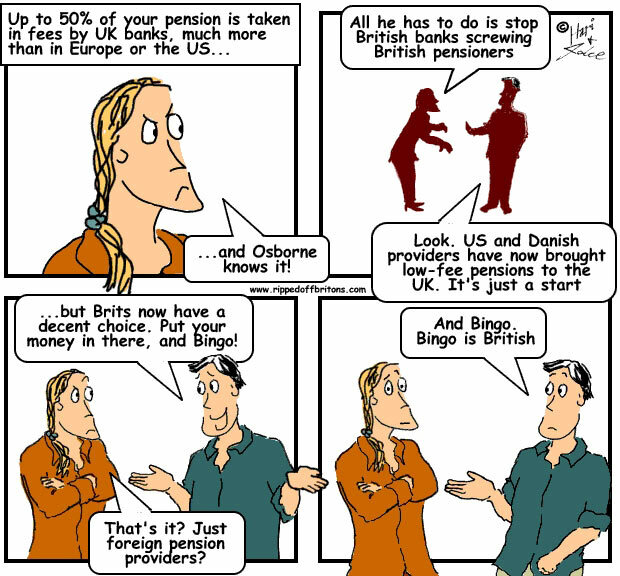 The government is automatically enrolling all workers into a workplace pension scheme. These schemes are supposed to be 'low cost' and ensure workers get more income in later life. If so much of their hard-earned money can merely be taken out of their funds to pay unqualified, unregulated consultants who do not even give them any advice, then something has gone seriously wrong with the system. Employers do need help setting up auto-enrolment pensions, but it is just not fair to charge members for this: This must be stopped immediately and new controls on such charges must be put in place before it turns into yet another pensions scandal. Surely we have had enough of those already. "The government has moved to ban consultancy charges in auto-enrolment pension schemes. Earlier this year, Which? 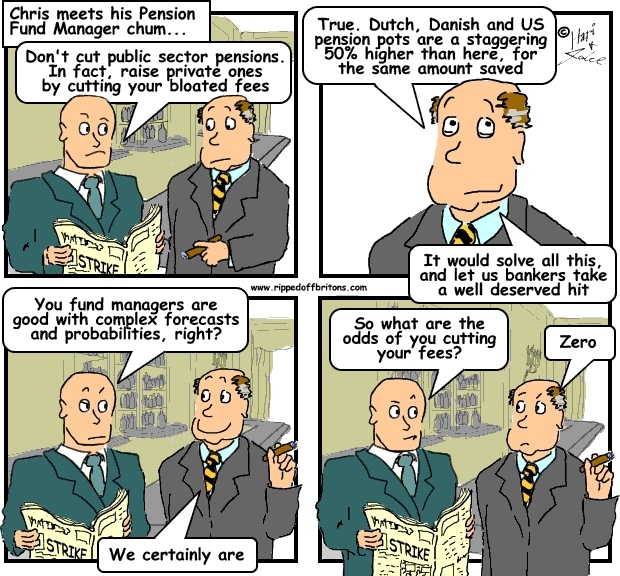 research established the high charges proposed by consultants could pose a threat to many employees' pension savings."